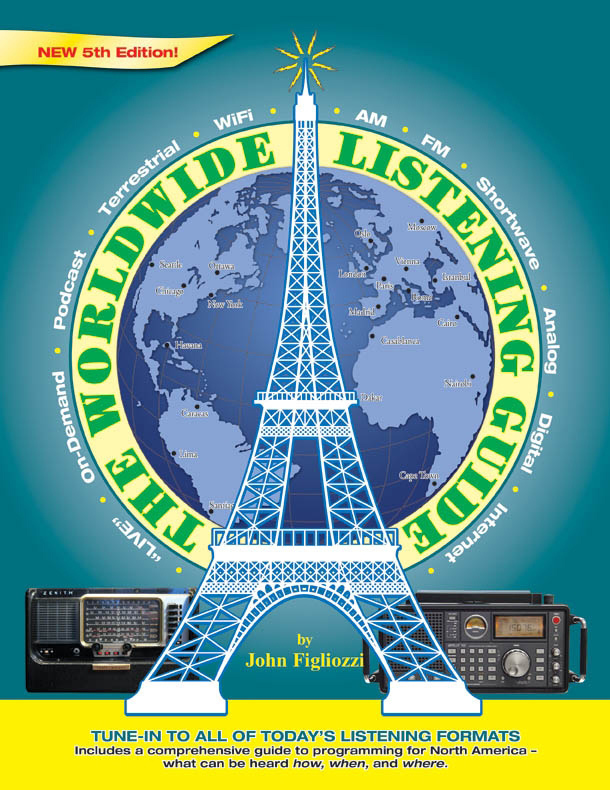 John Figliozzi’s The Worldwide Listening Guide is now available for order at Universal Radio. This is the 5th edition of Figliozzi’s book and is unique in that it not only offers shortwave radio listings, but also provides podcast, terrestrial, satellite, Internet, digital, analog, AM, FM and other format schedules. John Figliozzi is a life-long shortwave radio enthusiast and an excellent writer. His guide is 160 pages, wire-bound and easy to lay flat on your desktop. Click here to view more details at Universal Radio. Update: Be sure to check out RNW’s review of The Worldwide Listening Guide. This entry was posted in Books, Schedules, Schedules and Frequencies and tagged John Figliozzi, The Worldwide Listening Guide on December 3, 2011 by Thomas.